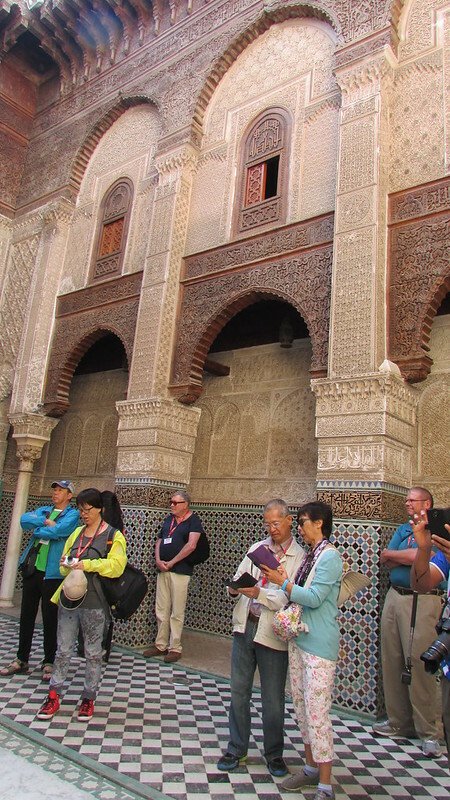 One of the highlights of the medina tour for me is the visit to Attarine Medersa. 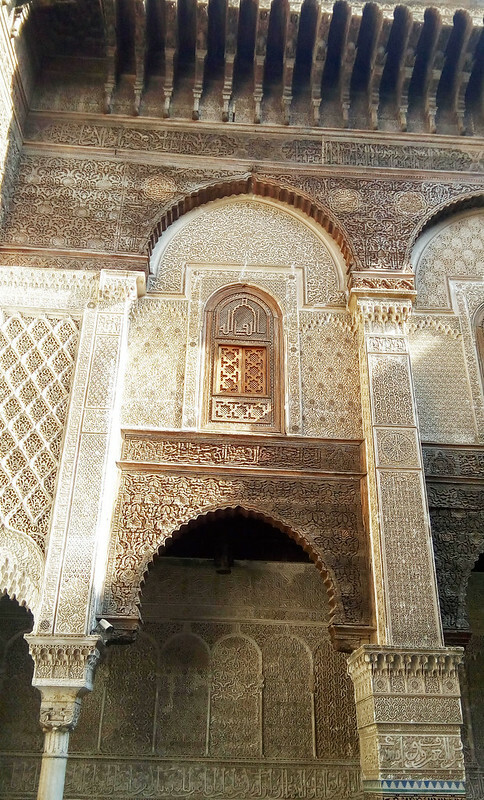 A medersa or madrasa is a school for Islamic studies. This is going to some sort of photographic post, because no amount of description would fit the exquisite beauty of this place. 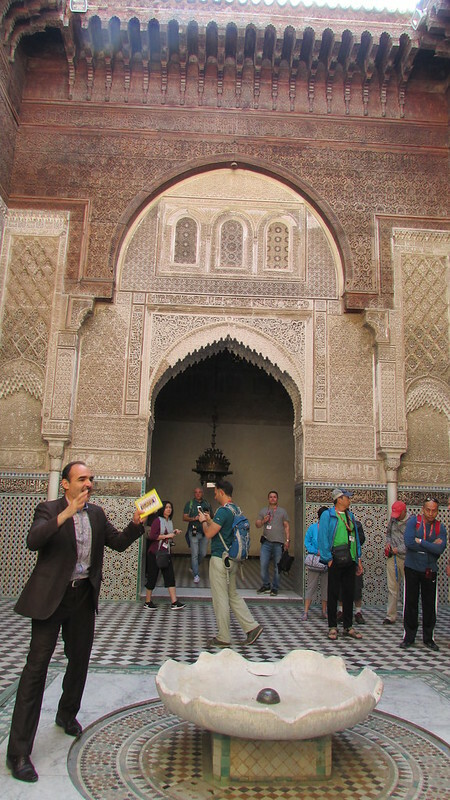 Fortunately we were the only tour group at the medersa that time. I don't know if that is by design that only one tour group at a time goes in or we just got there really early, but it whatever it was, I was incredibly thankful for. 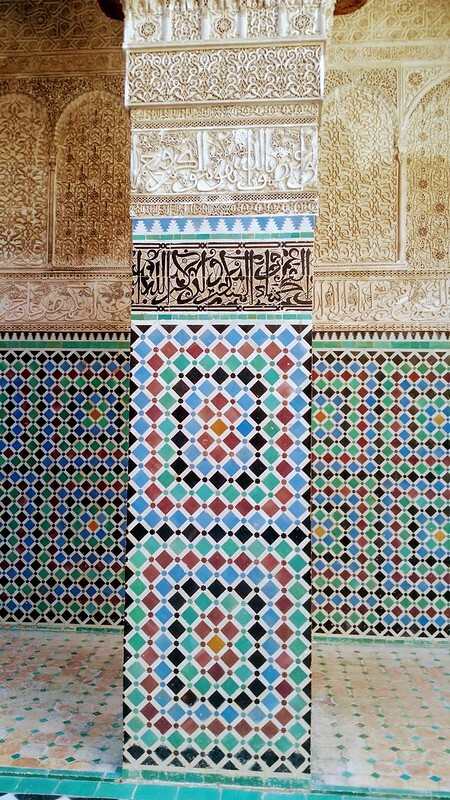 A specialized technique of tile cutting called “taqshir” or “peeled work” is beautifully displayed at Medersa el-Attarine. This technique involves scraping off the tile glaze in order to leave behind a shiny pattern. 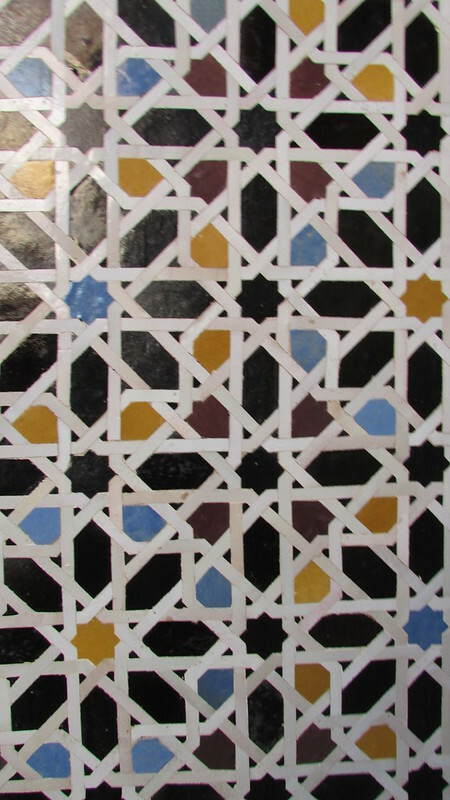 This technique is most often used on black glaze with the exposed terracotta base of the tile being allowed to weather naturally, contrasting with the glaze even more beautifully as time goes by. 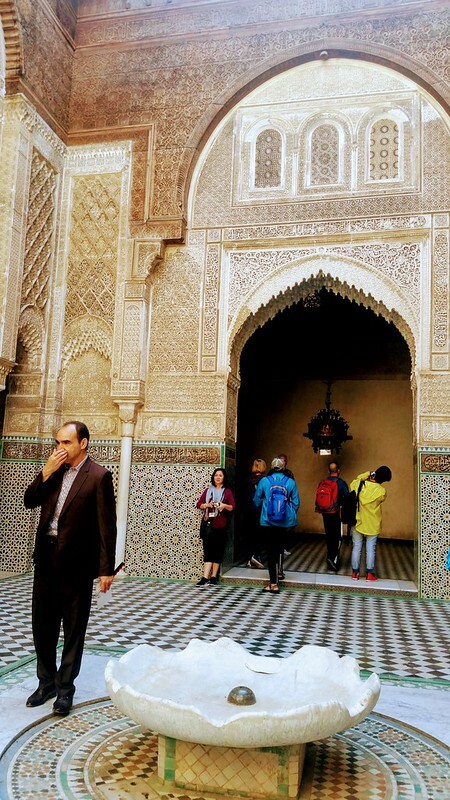 Apart from the magnificent tile work displayed at Medersa el-Attarine, intricate carved stucco adorns the walls and carved and painted wooden arches frame the doorways with marble columns in strategic places. 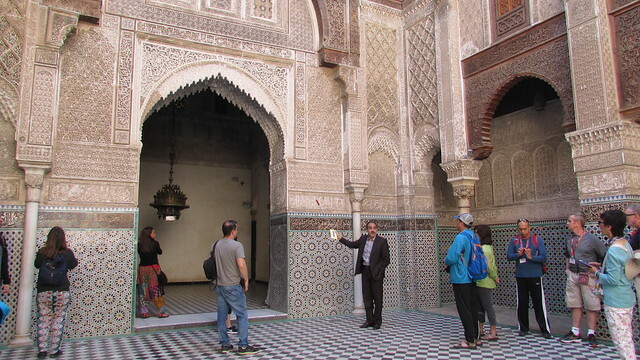 The courtyard of a medersa is the most public and most decorated area, with the accommodation for the students being almost ascetic in comparison. 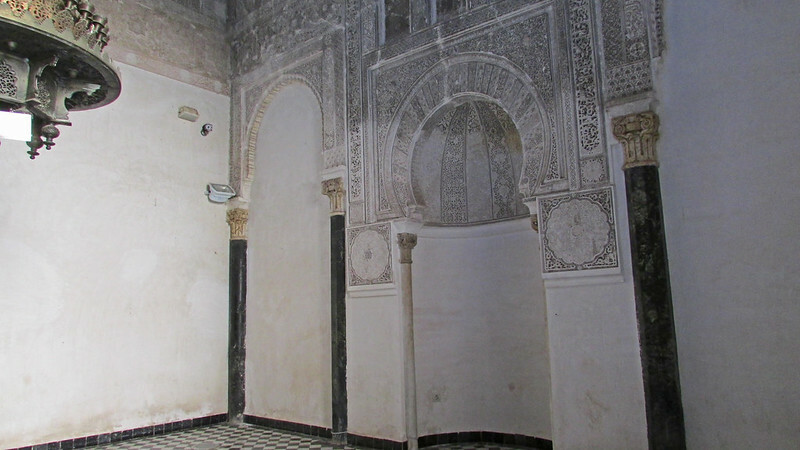 The prayer room is just off the courtyard. 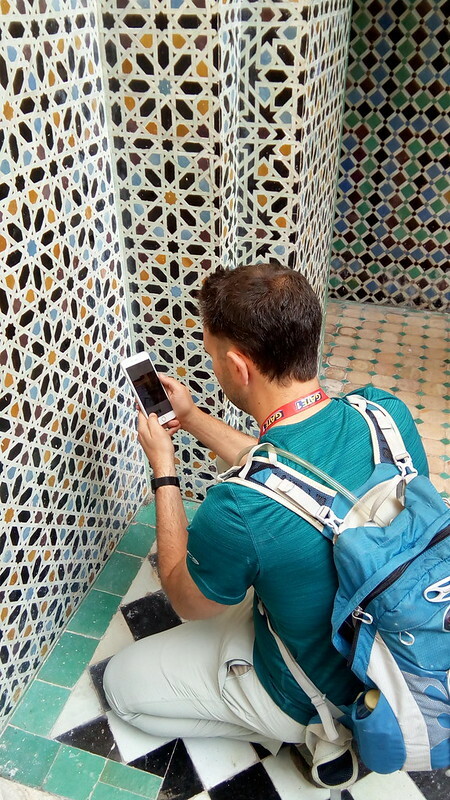 If you are like me and adore tiles and tilework, put this in your itinerary when you come to Fez. If you get a guide, I'm sure you'd be taken here. This is a source of pride for Fez. Amazing art and craftsmanship there -- each picture really is worth a thousand words -- you named your blog well. For some posts, photos only speak enough. 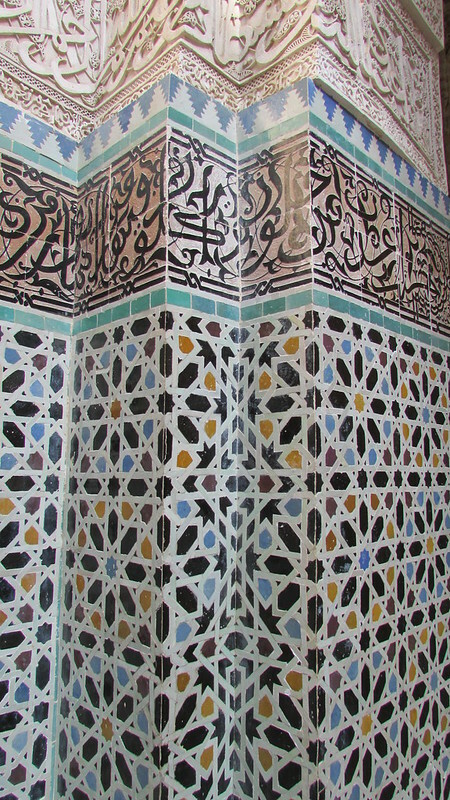 Some incredible detail in those mosaics. Don't think I will ever get there so thanks for sharing. As beautiful as this is the amount of work and care going into this is astounding. Great post. 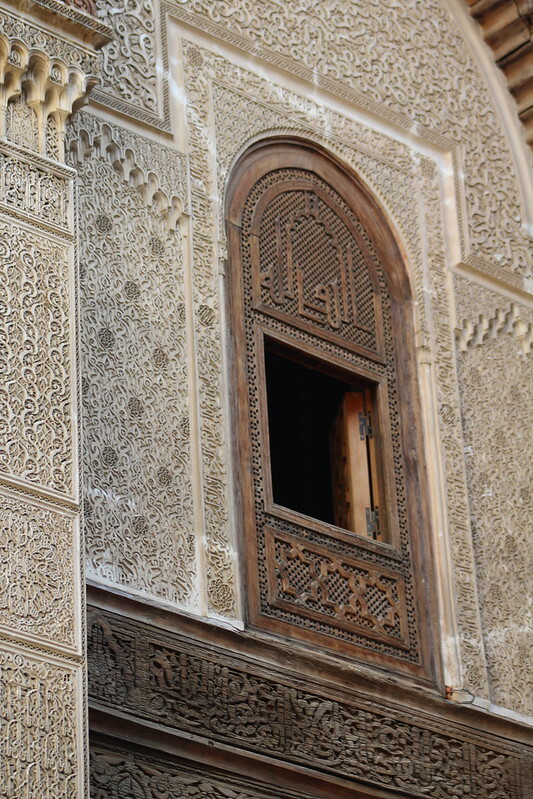 Intricate designs must have taken so much of time in those times.All the best. OMG +1 to my list of your visited places which i envy! 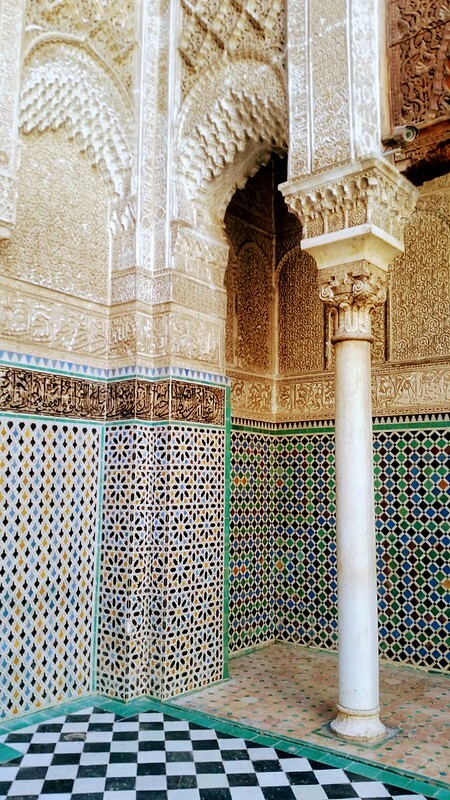 The word spectacular is an underestimation of the work put on those structures, all of them. 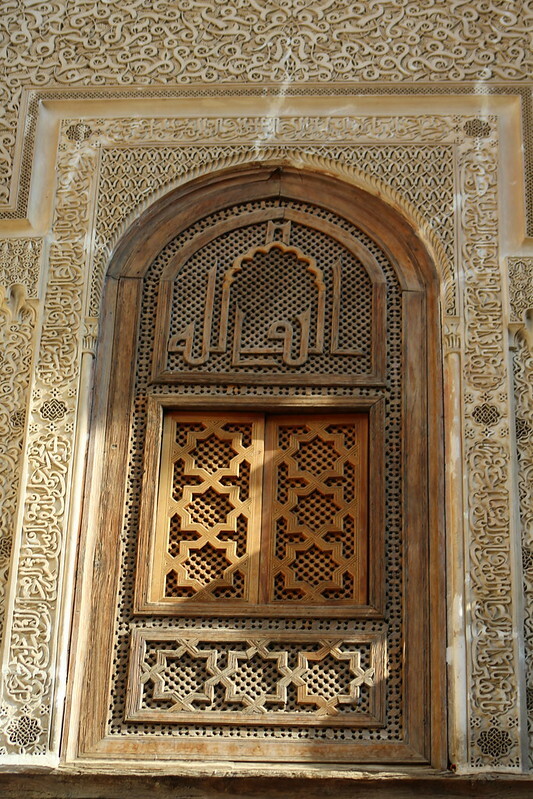 I cannot imagine the tiredness and the time spent by the workers finishing them. Prisoners must be compelled to do them to be productive, hahaha! Amazing. Thanks a lot for the informative post. amazing work. You have to admire att craftmen creating such buildings. The work it must have taken to create this beauty is mind boggling. 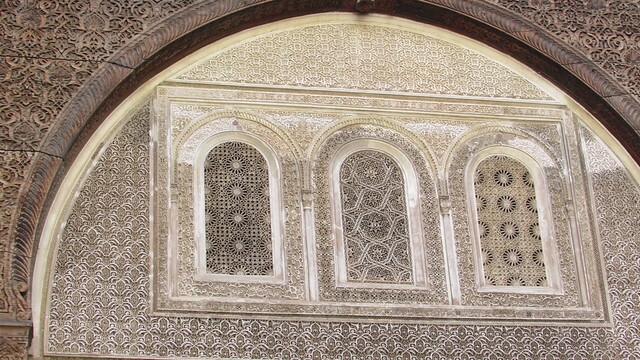 Some of it reminds me of old lace carefully preserved in cement! Thanks for sharing. A wonderful, highly detailed series of images. These are marvelous places. So amazed at this pictures! This architectural / design style is very appealing to me. I can spend hours in a place like this. 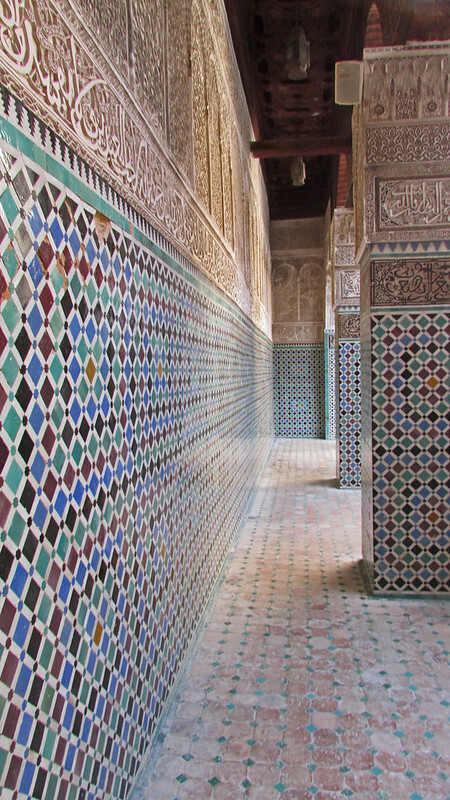 The tiles look a lot like some I saw in Toledo, Spain.